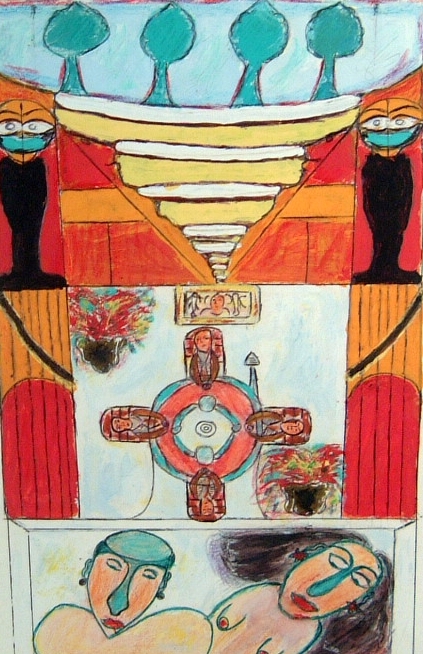 Max Romain was born in Haiti and lived there until he was twenty-five, when he emigrated to the U.S. After his retirement as a security guard at the Stock Exchange he began to draw the dreamlike subjects that are his hallmark--drawings that he cannot explain. 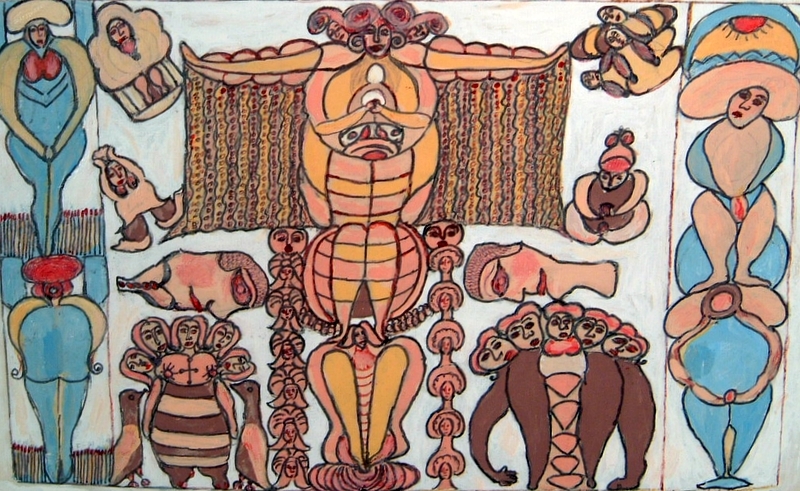 They have voodoo elements as well as sexuality and, beyond that an individuality and technique that's hard to compare to any other outsider artist. 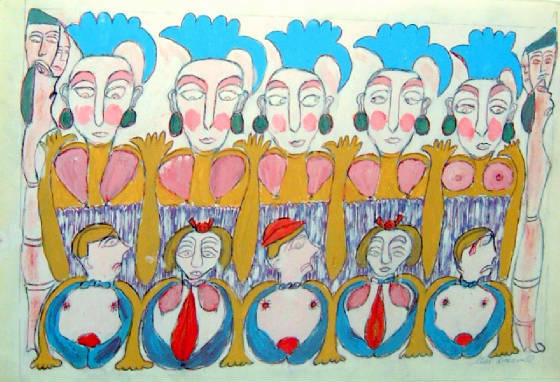 And they are certainly unlike traditional Haitian art. His early work (some think his most vibrant) is done on paper on which, at times, this untrained artist bore down so heavily that he sometimes pressed through the paper--something that discerning collectors accept. 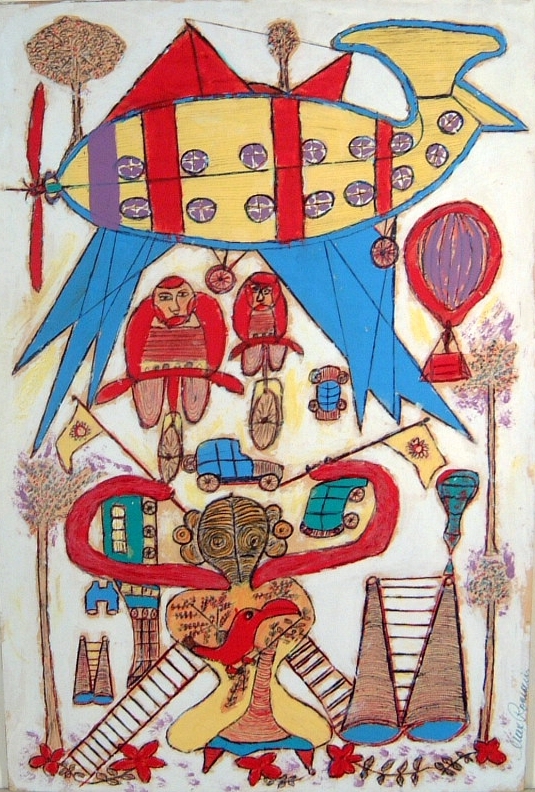 His work was first exhibited in NYC's Donnell library, and from there was exhibited in various museums, including "Made in USA" at the Art Brut Collection in Switzerland.